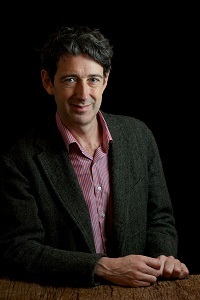 Alex de Waal is the Executive Director of the World Peace Foundation. Considered one of the foremost experts on Sudan and the Horn of Africa, his scholarly work and practice has also probed humanitarian crisis and response, human rights, HIV/AIDS and governance in Africa, and conflict and peace-building. His latest book is Mass Starvation: The History and Future of Famine (Polity Press 2017). He is also he author of The Real Politics of the Horn of Africa (Polity Press, 2015), a full list of his publications is available below. Following a fellowship with the Global Equity Initiative at Harvard (2004-06), he worked with the Social Science Research Council as Director of the program on HIV/AIDS and Social Transformation, and led projects on conflict and humanitarian crises in Africa (2006-09). During 2005-06, de Waal was seconded to the African Union mediation team for Darfur and from 2009-11 served as senior adviser to the African Union High-Level Implementation Panel for Sudan. He was on the list of Foreign Policy’s 100 most influential public intellectuals in 2008 and Atlantic Monthly’s 27 “brave thinkers” in 2009. Prof. Alex de Waal regularly teaches a course on Conflict in Africa at the Fletcher School, Tufts University. During this course, students should gain a deeper understanding of the nature of contemporary violent conflict in Africa. Students will be expected to master the key theoretical approaches to violence in Africa, and to become familiar with a number of important case studies. The focus is on the origins and nature of violence, rather than policy responses and solutions. The course is inter-disciplinary and involves readings in political science, international relations, and social anthropology, while also touching on economics, environmental studies, and history. 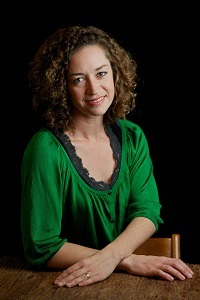 Bridget Conley is the Research Director of the World Peace Foundation and Associate Research Professor at The Fletcher School. At WPF, she is the lead researcher on the Mass Atrocities program. Her current research focuses on memory following mass atrocities, and has produced a forthcoming book, Memory from the Margins: Ethiopia’s Red Terror Martyrs Memorial Museum (Palgrave 2019). 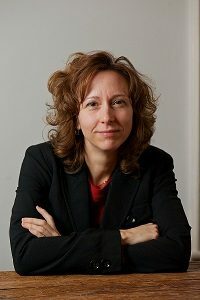 She is the editor of How Mass Atrocities End: Studies from Guatemala, Burundi, Indonesia, the Sudans, Bosnia-Herzegovina, and Iraq (Cambridge University Press 2016). She has published on issues related to the 1992 – 1995 war in Bosnia, mass atrocities and genocide, and how museums can engage on human rights issues. She previously worked as Research Director for the U.S. Holocaust Memorial Museum’s Committee on Conscience, where she led the Museum’s research and projects on contemporary threats of genocide, including curating an exhibition, From Memory to Action: Meeting the Challenge of Genocide Today. She received a PhD in Comparative Literature from Binghamton University in 2001. Dr. Conley is a member of the International Panel on Exiting Violence (IPEV) as part of the working group, The Role of History and Memory in Exiting Extreme and Mass Violence: Comparative Lessons put together by Foundation Maison des sciences de l’homme (FMSH). Prof. Bridget Conley regularly teaches a course on Understanding Mass Atrocities; in Fall 2019, she will teach it as part of the Tufts University Prison Initiative at Tisch College. The course addresses the study and development of policy related to “genocide” and mass atrocities, both of which are highly contested in terms of the universe of cases, key definitions, and thresholds of violence that should trigger action. This course provides an overview of the debates by introducing the key concepts, contexts and policies related to mass atrocities. Beginning with the introduction of the term “genocide,” the course explores a range of terminologies and frameworks for defining and explaining mass violence against civilians. Lisa Avery is Associate Director of the World Peace Foundation. Lisa was previously employed as Administrative Specialist, Purchaser and Executive Assistant at Good Earth Teas in Santa Cruz, California. She graduated from Framingham State University as a Liberal Arts major and has a Master’s Degree in Nonprofit Management from Northeastern University. Dr. Samuel Per lo-Freeman is a Fellow at the World Peace Foundation, and Project Manager for the WPF project on Global Arms Business and Corruption. He was previously Senior Researcher at the Stockholm International Peace Research Institute (SIPRI). 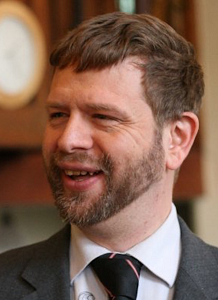 From 2007 to 2016 Sam worked at SIPRI on issues of military expenditure, arms industry and arms trade, and in particular was head of the SIPRI Military Expenditure project from 2009 to 2016. In this capacity, he recently completed a project to extend SIPRI’s unique military expenditure database backwards in time from 1988 to the 1950s. He is a regular contributor to the SIPRI Yearbook and presents regularly on issues of arms and military expenditure at conferences and workshops worldwide. Previously he was a Senior Lecturer in Economics at the University of the West of England, working mostly in the field of defence and peace economics. He holds PhDs in Mathematics and Economics, and is the author of numerous publications on defence and peace economics, development economics, arms industry and trade, and mathematics. Our Research Assistants contribute to the existing research projects of the World Peace Foundation, as well as assist with the planning and conduct of our seminar series and other events. Research Assistants are current graduate students at the Fletcher School of Law and Diplomacy and their work can be tailored to their own research interests and background. Please contact us if you are interested in learning more about these opportunities. Mohamed Nabil Bennaidja is a second year Master of Arts in Law and Diplomacy student at the Fletcher School, Tufts University, concentrating on Conflict resolution and international negotiation with a regional focus on Africa. During his time at Fletcher, he collaborated on a field research in Costa Rica on African Transatlantic migration and in the summer of 2018, he worked with Independent Diplomat, a global non-profit organization, on the conflicts in Western Sahara and Mali. From 2012 to 2017, he served as a Deputy Head of Mission at the Embassy of Algeria to Tanzania. 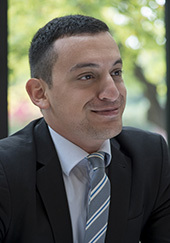 Mohamed Nabil holds an MA in Marketing and a BA in Management, international trade from the University of Algiers. Scott Hoag is a Master of Law and Diplomacy student at the Fletcher School, focusing on Security Studies and Conflict Resolution. His academic interests center around conflict prevention in Africa. In the summer of 2018, he helped cover the Mozambique and Zimbabwe portfolios as an intern at the State Department’s Southern Africa Office. 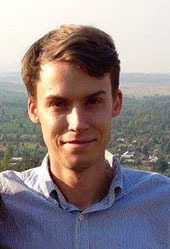 He previously completed a year-long fellowship in Lesotho and served as a Peace Corps Volunteer in Rwanda. 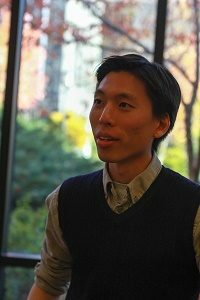 Xiaodon Liang is a Research Assistant at the World Peace Foundation for the Global Arms Trade and Corruption project and a PhD student at The Fletcher School of Law and Diplomacy. He previously worked at the National Bureau of Asian Research and Dealogic, an analytics firm. He holds a master’s degree from The Fletcher School and an undergraduate degree from the London School of Economics. Nanaho Yamanaka is a Research Assistant at the World Peace Foundation for the Conflict Resolution Project and a Master of Law and Diplomacy student at the Fletcher School, focusing on Conflict Resolution and Comparative Politics. Her professional interests center around sustaining political settlements in civil conflicts. 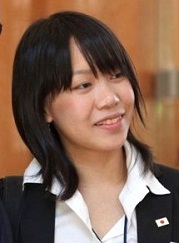 A former staff of the Japanese government’s bilateral ODA agency, Japan International Cooperation Agency (JICA), she spent the past 2 years in JICA’s South Sudan office where she managed governance and peace building sectors, working extensively with the transitional government on national youth reconciliation policies and programs.